I just got done making the following for a potluck at work. They are my version of a French Macaron! Actually they came out pretty cute I think. 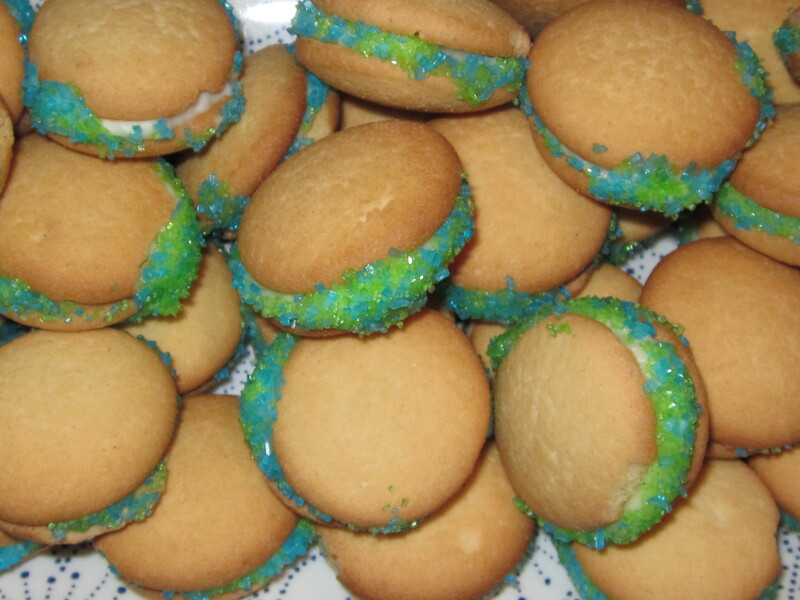 They are a combination of Tastefully Simple’s Keylime Cheese Ball Mix with cream cheese spread between two vanilla wafers and rolled in green and blue sprinkles! They taste pretty good too! While they may not be a true Macaron, they are kinda pretty. But, I recently did get a chance to try some Macarons from a little bakery in town. The chocolate one was more like a brownie and the keylime one was light and fluffy. 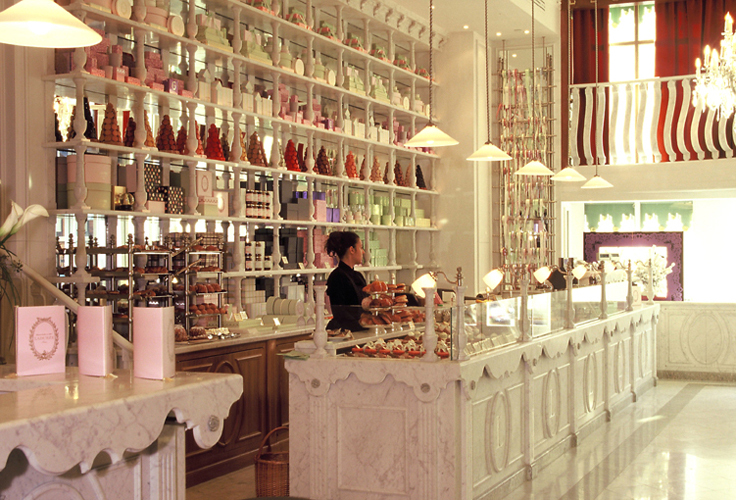 Someday I would love and vow to go to Harrods in London and try a true Laduree French Macaron! They are just almost too beautiful to eat! 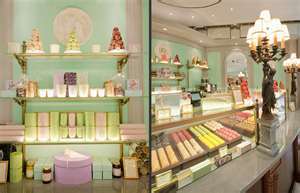 Oh and don’t forget to check out their website at: http://www.laduree.fr/en/scene for the cutest site ever! So very cute and they do look tasty. What time is lunch – I’m there!